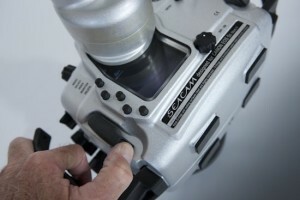 Yesterday I got to play with my new Seacam housing for my Canon 5DMKII for the first time. The first impression was that it is a nice size, appreciably smaller than my housing for the Canon EOS1DsMKIII, and the combination smaller housing plus lighter camera will no doubt make a difference for travel. 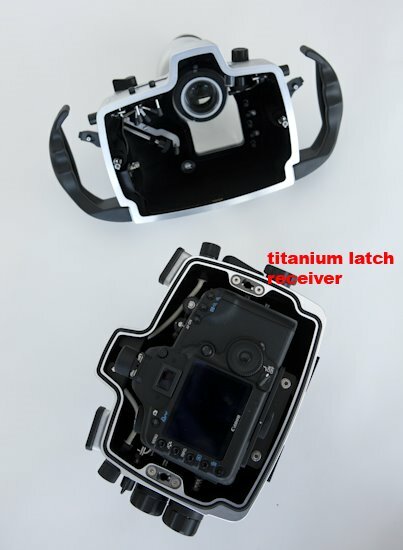 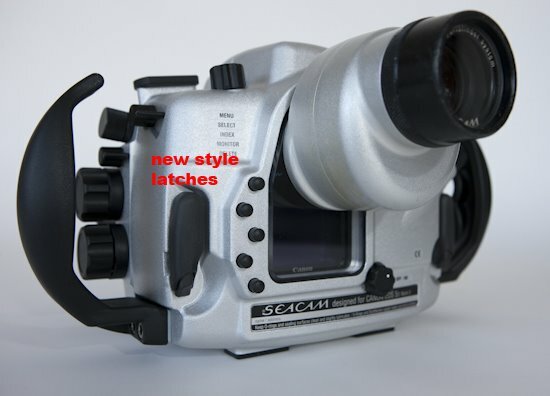 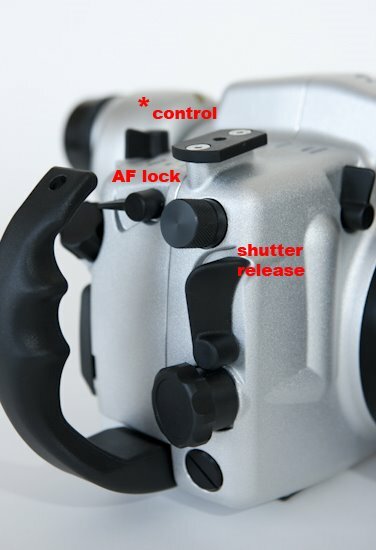 The housing has several new features relative to traditional Seacam housings (although they are common with Nikon D3 housing, and all new housings going forward) including a new ergonomic shutter release, an improved latch design, and of course controls specific to the video functionality of the 5DII including Live View. There is also an external lever to release the lens inside the housing, making it easier to change lenses without opening the back of the housing, especially when zoom or focus gears are attached to the lens. The “Set” button is important because it starts and stops video recording, as well as allows image deletion through the housing, and this is accessible with hands still on the right handle. You can see the long silver lever on the inside of the housing that allows this. Note the photos of the housing with either of the two magnified viewfinders, either the Swivel-45 degree finder (S45) or the Sport-180 (S180). 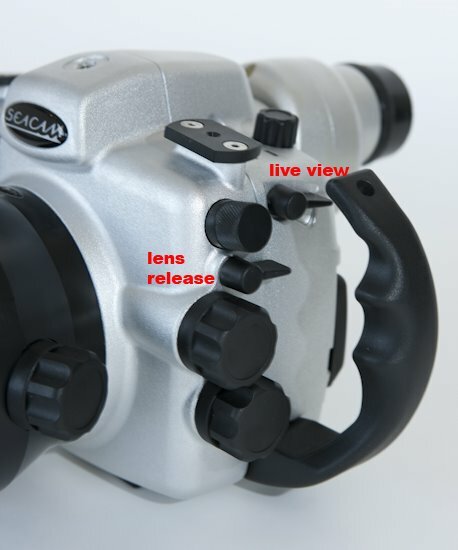 Divers using the housing primarily for the video capability will no doubt prefer the far less expensive Pro viewfinder (shown here below) as it will not obscure the camera’s LCD screen and make it lighter in the water. 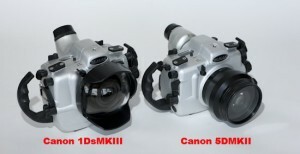 Those shooting surf applications or snorkeling for large marine life will undoubtedly want the Pro viewfinder option. 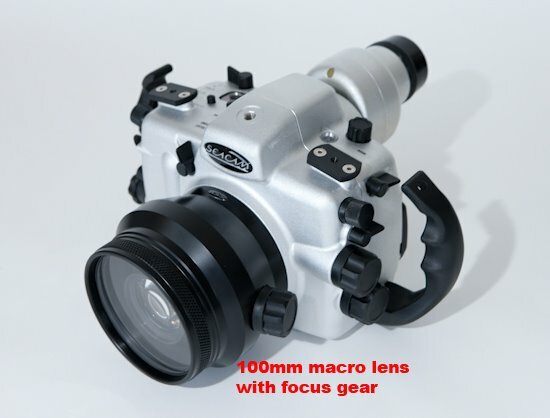 In this shipment we also received a really nice macro port, this time for the Canon 100 macro, but can also be ordered for the new Nikon 105mm Micro-Nikkor. 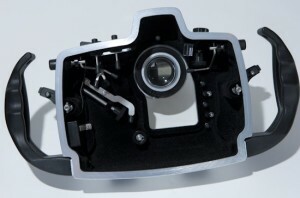 Both are internal focus lenses, which allows the front of the lens to be positioned within 1mm of the rear of the glass throughout the entire focus range. 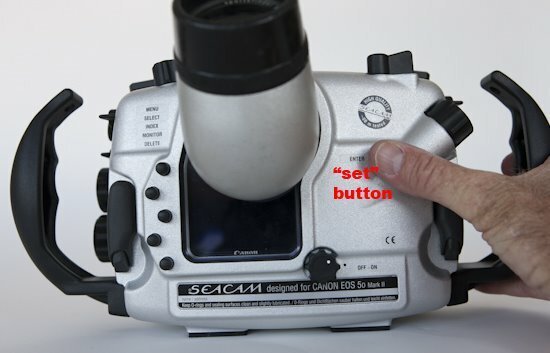 This is exceedingly important when using external wet diopters for optimal corner performance from the diopter is only possible when the lens is positioned in proximity to the rear of the diopter, and too much space inside the port seriously degrades the optical performance. 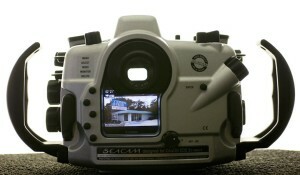 See http://stephenfrink.blogspot.com/2008/11/wet-diopter.html for more on this issue.